For your information, we may u decide to alter or update some or all of Terms & Conditions without prior notice so please check them each time you visit. You acknowledge our Intellectual Property Rights, in and to the site, and that you will not acquire any right, title, or interest in or to the site. The copyright and other intellectual property rights in all material on our site are not to be reproduced without our written consent. You can browse & access our website without the need to register. However, some services or areas of this Website will only be accessible if you do so. 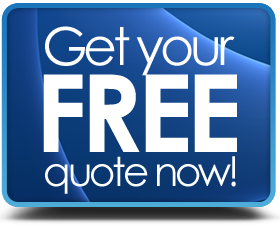 To give an example – if you request quotations, we will need to provide your information to a 3rd party home improvement company so that they can supply the requested quotation to you. We try to make this website is available at all times. We will endeavor to provide notice of loss of service but are not obliged to do so. We will disclose the identity & details of persons who are in breach the above and co-operate with the authorities or if a court order requires us to do so. 3rd party links are only shown for your convenience. We don’t necessarily review every 3rd party website and can’t be held responsible for their content. We don’t endorse them or make representations their material. If you use a 3rd party link to from our site, it’s at your own risk.